The time has arrived to put away any feelings of ‘bar humbug’ and embrace the Christmas season that is so quickly creeping up. I walk past the Manchester Christmas Markets everyday on my walk to work, walk home in an array of glittering lights, and pass the window displays of every retailer running festive offers and promotions for the countdown for the ‘Big C Day’. 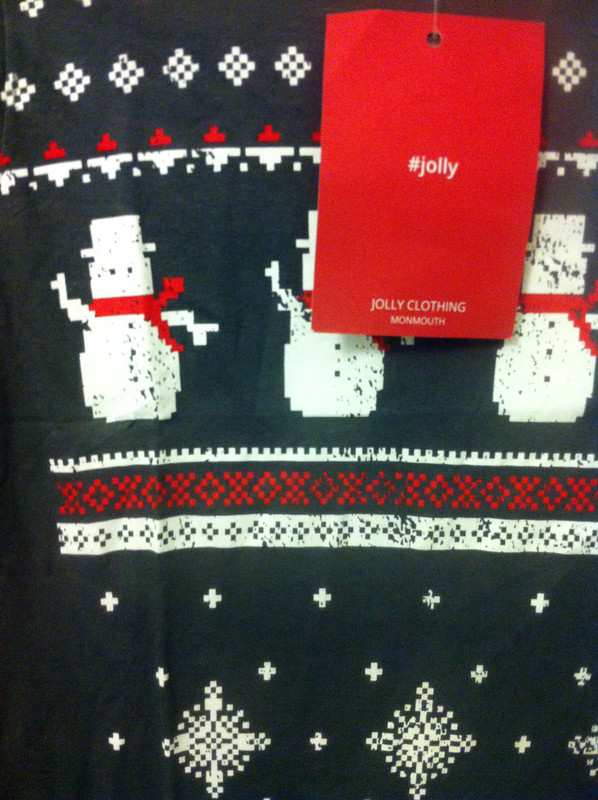 I have to admit, an email I received about a seasonal brand, Jolly, did make me feel a bit excited inside. Christmas T-Shirts? 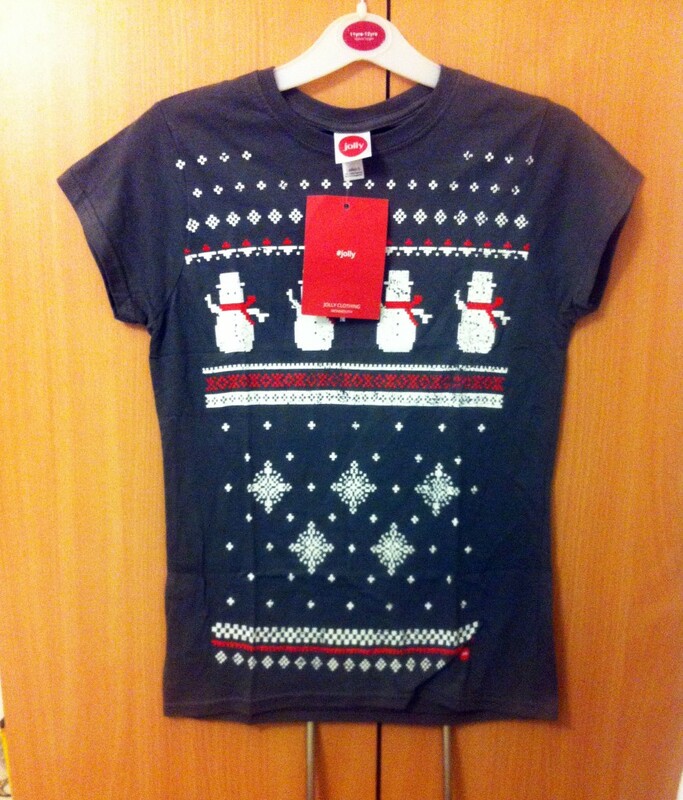 Reindeers, Santa’s and Snowmen displayed on my clothes? Yeah why not! Jolly stocks a range of retro Christmas jumper style T-Shirts that actually look rather stylish, for both men and women. In a range of colours reflective the festivities, you can get short sleeve styles for £12.99 and longer sleeves for £18.99. I do like wearing grey, so this is the T-Shirt I got! I am getting a new Canon DSLR camera for Christmas this year, although will be lucky enough to get my hands on it earlier, therefore any terrible quality iPhone 4 selfie style shots should soon be a thing of the past. However, I’m sure you can get the general jist – these T-Shirts are super cool and are a winter wardrobe essential if you have a sense of humour!